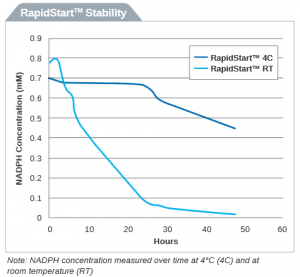 NADPH is a critical cofactor supporting numerous biochemical reactions. In ADME-Tox studies, NAD(P)H regeneration is strongly recommended when using drug metabolizing enzymes (ex. Cytochrome P450 (CYP), Flavin-containing MonoOxygenases (FMO)), Recombinant CYPs (incl. bactosomes) or cellular fractions (Microsomes, S9). Currently, the most simple and cost-effective way to regenerate the NAD(P)H in situ and enzymatically is to use the commercially-available RapidStart™ NADPH Regenerating System (Xenotech-Sekisui). Sekisui Xenotech’s Research BioBank provides you with normal and diseased human liver tissue samples for scientific investigation. Tissues are collected with the initial intent for transplant, thus making them perfect candidates to advance basic medical science and contribute to the development of new treatments. Sekisui XenoTech now offers human liver tissue microarrays (TMA) and a microsomal pool for studying and developing new treatments for fatty liver disease (FLD). 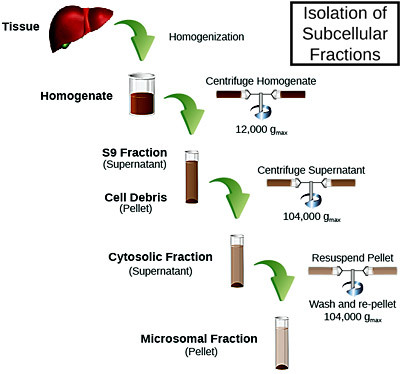 The microsomes and arrays feature non-alcoholic steatohepatitis (NASH) and other liver tissue from the company’s Research Biobank . The initiative is part of Sekisui XenoTech’s ongoing commitment to furthering knowledge of hepatic diseases. Over the years, Sekisui XenoTech has built up a strong expertise in preparing subcellular fractions for ADME applications. There is a list of the fractions readily available for prompt delivery across Europe. However, the researcher’s specific needs in terms of species model, characterization or tissue for a particular metabolism study may not be met by the already available catalogue products. For this reason, the existing list is continuously expanding over the years in response to new demands. Recombinant CYPs are commonly used in ADME-Tox studies as in vitro tools, mostly for reaction phenotyping, enzyme inhibition screening, clearance and metabolite ID.